La politica es la politica: Margarita Zavala: Mexico's Hillary Clinton? 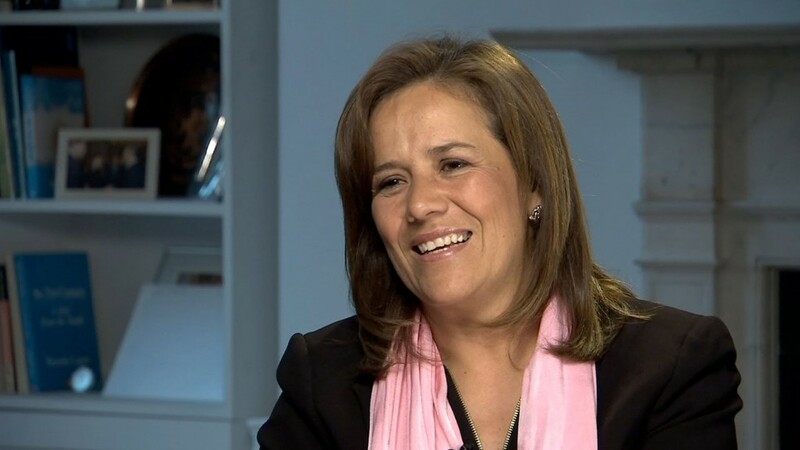 Margarita Zavala, wife of former Mexican president Felipe Calderón (2006-2012), has announced that she will be a candidate for the presidency of Mexico in 2018. Ms. Zavala made the announcement via social media, claiming that her goal was to bridge the enormous divide between Mexico’s political classes and the people. The former first lady is vying to be the right-of-center National Action Party (PAN) candidate. She has been a PAN deputy in the Mexican Congress (2006), as well as a two-time local deputy in Mexico City (1994-1997 / 2003-2006). She is the only wife of a Mexican president to have served in Congress. Born on July 25, 1967, Ms. Zavala, a teacher at a private school, has three children with Mr. Calderón. Ms. Zavala’s brief video announcement, in what might be an oversight, refrained from disabling comments, resulting in a barrage of vitriol. In the video, which was short on details, she said that she planned to travel the country to “listen to the people” and "talk about what we want for the future." Ms. Zavala, who moved with her husband to the United States after he received an appointment to Harvard University in November, 2012, attempted to register as a PAN pre-candidate for deputy in the elections in Mexico this past June 7. However, the PAN’s permanent commission denied her standing. Mexico has never had a female president. In the last election, PAN presidential candidate Josefina Vázquez Mota was routed by the PRI’s Enrique Peña Nieto. Many observers believe that Vázquez Mota lost because of fatigue among the electorate with the PAN’s security policies, which she did not reject. It was Mr. Calderón who initiated Mexico’s ultra-violent drug war, which has left an estimated 100,000 dead and disappeared.